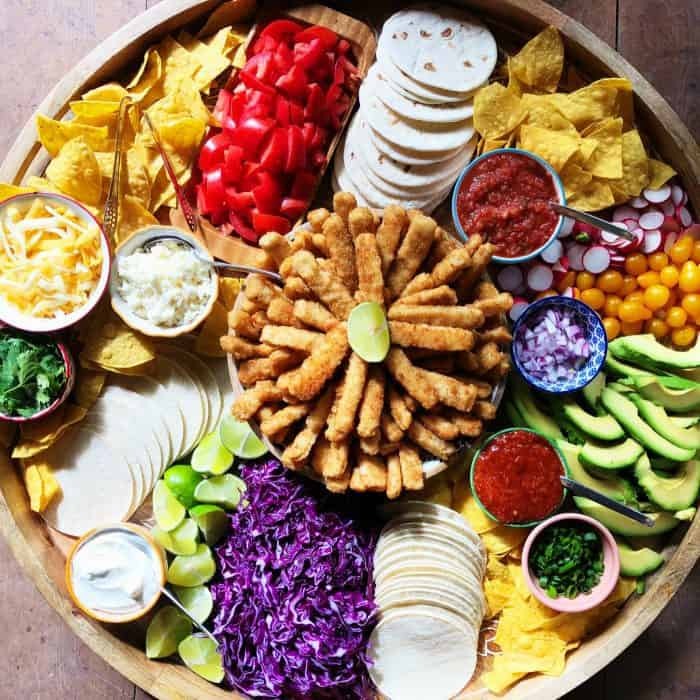 This Crunchy Breaded Fish Sticks Taco Board is a simple way of preparing a taco feast, with all ingredients on one giant charcuterie board! Ready to dig in! This post is sponsored by Gorton’s. 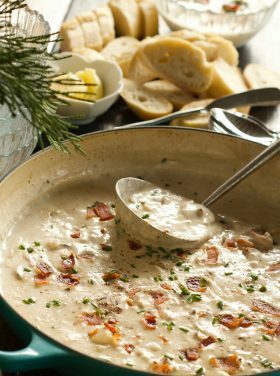 Friends, looking for a fun way to entertain or make a delicious seafood dinner this summer? 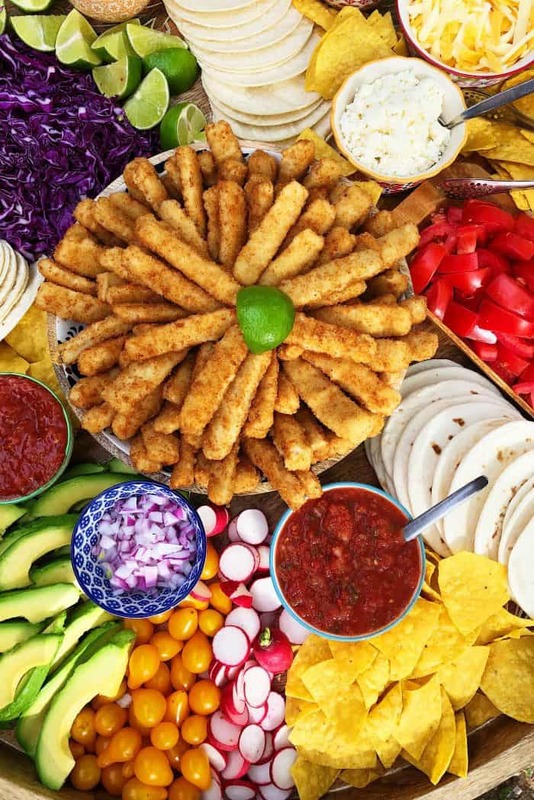 Try this Crunchy Fish Sticks Taco Board, in partnership with Gorton’s Seafood, full of taco delights—cabbage, tomatoes, cheese, salsas, avocados—and hot crunchy fish sticks! I remind friends all the time, try something new and break up your normal routine when it comes to hosting. Be curious and think about new things and new ways to do things (if you read about it, actually take steps to do it), and more importantly, have fun! 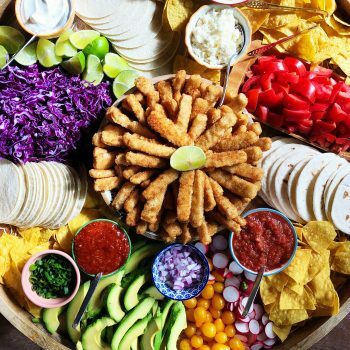 Today’s Fish Sticks Taco Board is super easy! 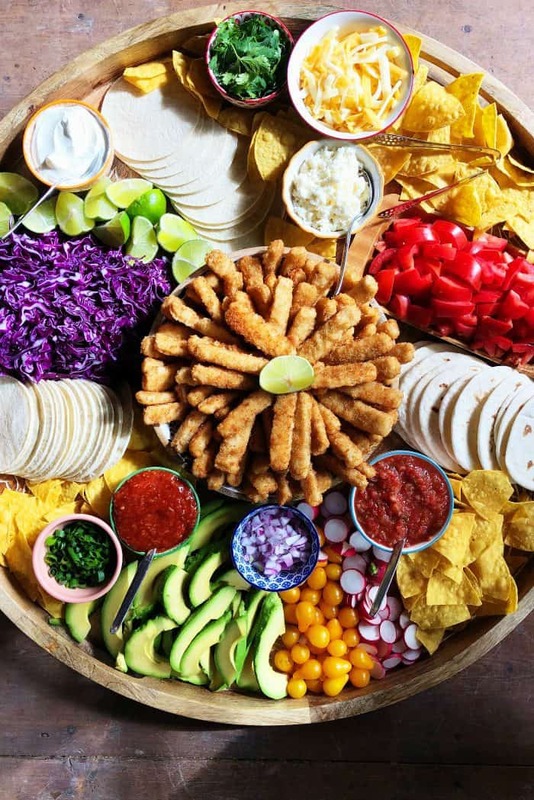 Think fish tacos and all the toppings—all on one big board. How easy is that? Everyone digs in! I love that Gorton’s Seafood makes it super simple. First of all, Gorton’s is “trusted by those who know seafood,” because they have fed families around the world for generations. Gorton’s has actually been around for 167 years, in recent decades with the finest frozen seafood. 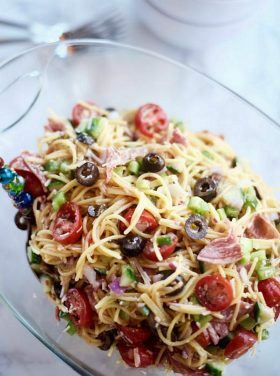 You can add their fish to classic dishes, like my Salmon Spaghetti Carbonara, and keep it in the freezer for weeknight meals or last-minute guests. My friend, Lori, used the same salmon and made delicious Salmon Wellington, and you may remember my Shrimp Scampi Foil Pack Dinner! 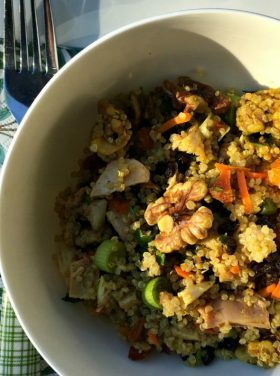 Great for entertaining or camping or a weeknight meal. You don’t need a forest surrounding your house to create a fabulous ambience for your gathering. We just happen to eat outside quite a bit, a typical casual summer evening. 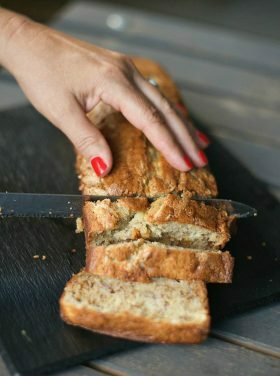 I’ve learned to be more open to different hosting ideas and possibilities, ways to share food with others. I love bringing people together, so a charcuterie-style meal works for us! 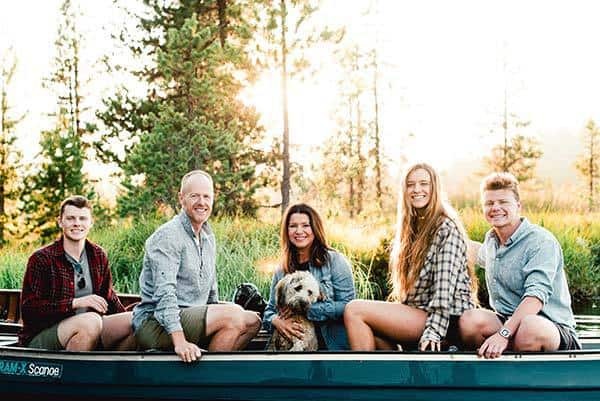 Many of you know I’ve gotten a lot of good use out of my large, round wooden board, creating many charcuterie and cheese and snack boards over the past year. [I bought it at Pier 1 here in Bend, Oregon. The size is 28-inches round by 2-inches high.] I used parchment paper when I first bought it, but then seasoned it with beeswax and mineral oil. 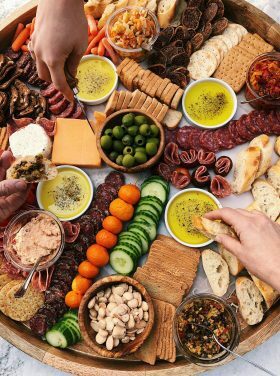 I think so many people are drawn to the charcuterie idea, because it means that people are gathering, nibbling, and making good conversation. At least that is what we envision. 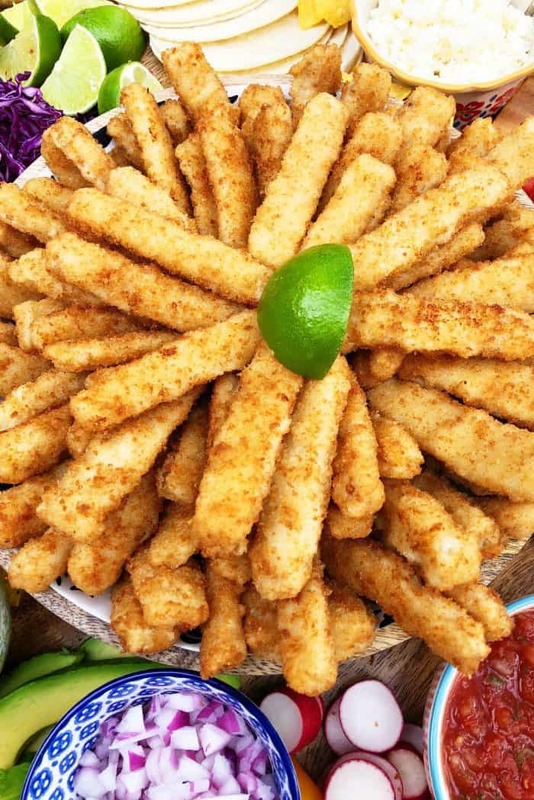 In this case, with fish as the center star, these perfectly crispy and exceptionally Crunchy Breaded Fish Sticks are made from 100% wild-caught Alaskan Pollock. 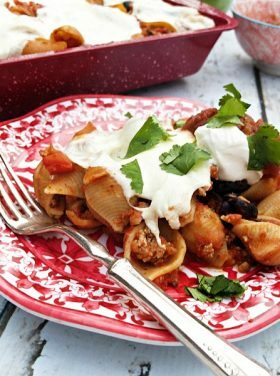 Bake several pans and layer a plate or bowl. We used 2 bags, which feeds 12+ people. 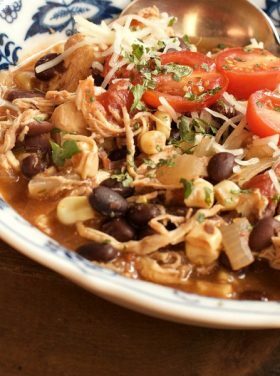 Surround with your favorite taco ingredients! The Seafood Cocktail Sauce? A delightful addition to this Mexican feast. 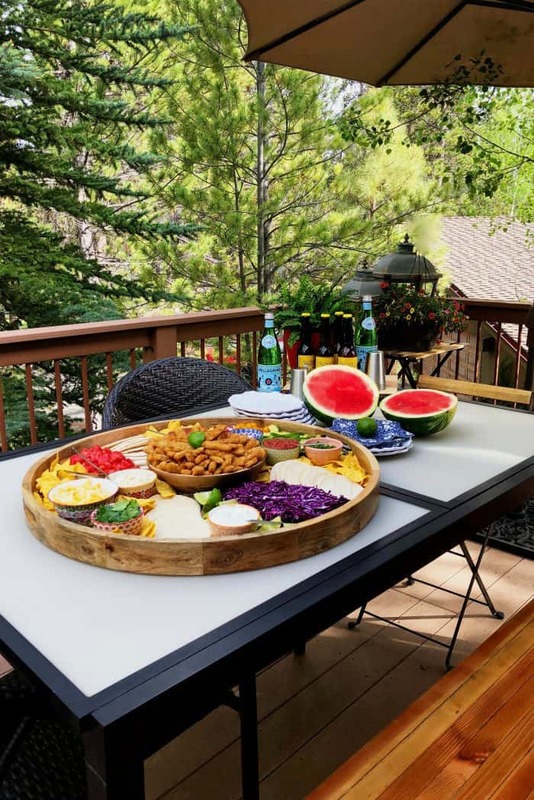 Set out drinks and a giant watermelon, and you have the PERFECT summer meal. 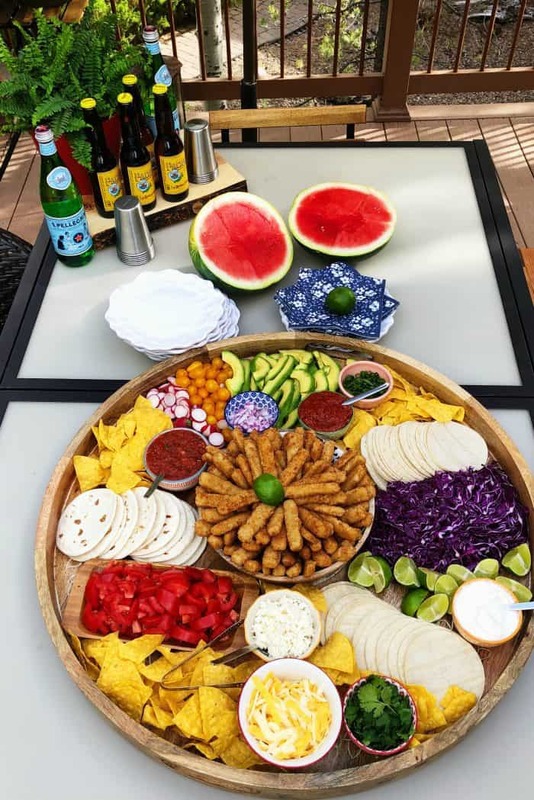 Crunchy Breaded Fish Sticks Taco Board is a simple way of preparing a taco feast, with all ingredients on one giant charcuterie board. Bake the fish sticks according to package directions. Allow to cool for about 10 minutes on the pan before placing in a large bowl. Set out small dishes and add the cheeses, sour cream, salsa, seafood cocktail sauce, green onions, and cilantro. Lay down 3 rows of small tortillas; arrange the rest of the food, adding chips last to fill in any holes. Arrange the rest of thefood items in rows around the small bowls. Garnish with a Mother’s Day flower and serve! 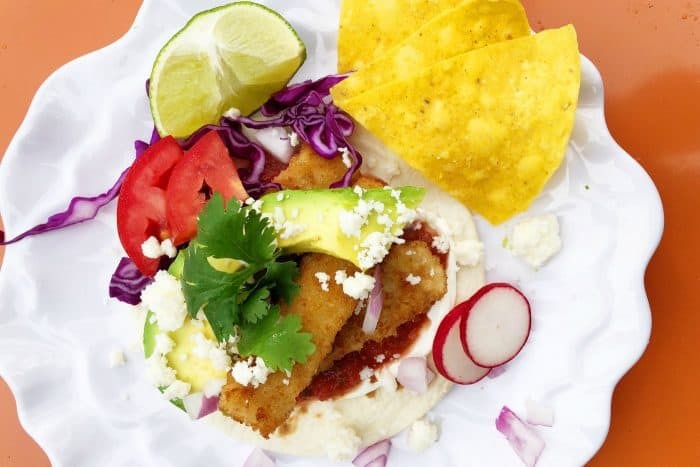 More fish taco ideas: Easy Fish Tacos [RE], Fish Tacos [Mama Loves Food], and Low-Carb Fish Taco Cabbage Bowls [Kalyn’s Kitchen]. 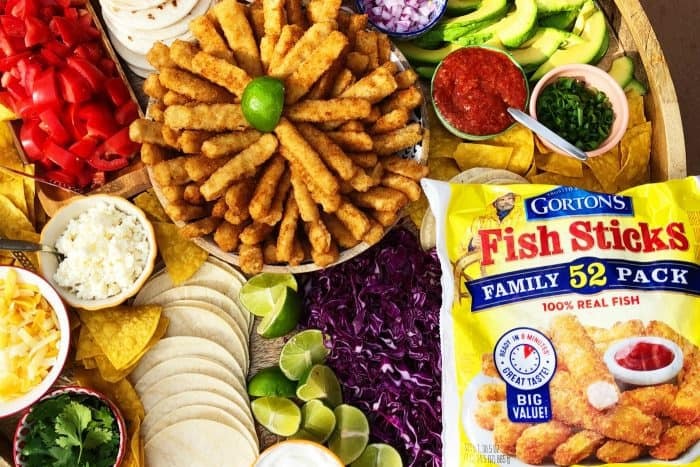 Visit Gorton’s online for their whole line of delicious products, and look in the frozen food section of your grocery store. They have a variety of amazing options to choose from, from appetizers to meals! Disclosure: This post is sponsored by Gorton’s Seafood. As always, all opinions are my own. Thank you for supporting the brands and businesses that I work with! I have already ordered my tray, and am excited to get started creating! Have you ever created a “cocktails” tray? I would love some ideas on how to create one. This is the best idea for easy entertaining. And it’s so pretty too! That sounds amazing. 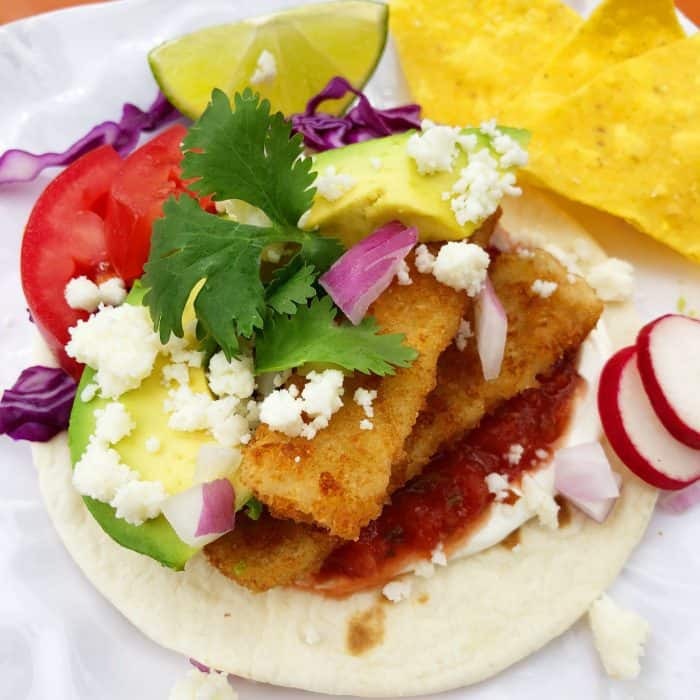 I love all things fish taco! 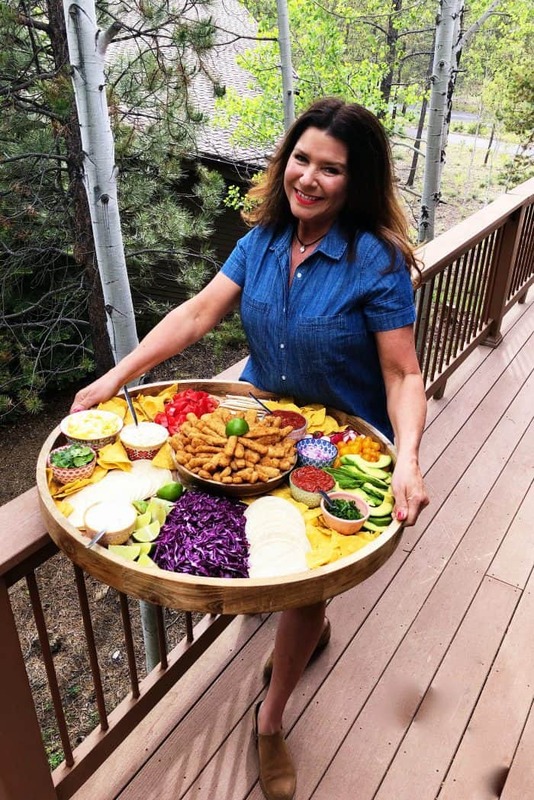 That is a beautiful presentation, Sandy, and it looks delicious! I love this so much! We do dinner boards sometimes and my kids think they’re the absolute best. I always end up serving ours on cookie sheets. Lol. I actually saw a huge round board like that at IKEA yesterday. Almost grabbed it but then remembered I need somewhere to put it first. So now I’m on a clean out mission to make room. 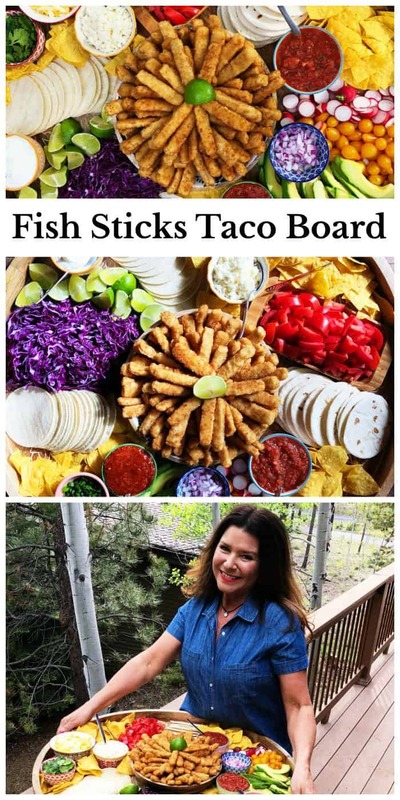 Cannot wait to make this fish taco board!!! LOVE fish tacos, but it took me awhile to be willing to try it…it just seemed “weird” to me. But not anymore.